All hopes for a quick ruling by the German Constitutional Court in the complaint against the UPC are dashed. A ruling before 2020 is looking increasingly unlikely. This presents the UPC project with an irresolvable problem. Torpedo! This is language that patent lawyers understand. It is a tactic whereby a potential defendant pre-empts a competitor about to file an infringement suit against them by filing their own lawsuit in another EU state first, in an attempt to stall proceedings. Italian, Belgian and Irish torpedoes are part of the basic tool kit, with opponents exploiting the fact that the wheels of justice in these countries turn more slowly than where the competitor intends to launch its main assault – such as an established patent court in Düsseldorf, The Hague, London or Paris. But according to European law, it is first come, first served. The key to a torpedo, therefore, is knowing what your opponent is planning and how long a court takes to make a ruling. 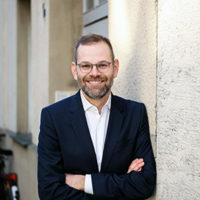 Ingve Stjerna is an experienced patent expert and his many years of experience at the firms Bird & Bird, Reimann Osterrieth Köhler Haft (now Hoyng ROKH Monegier) and Simmons & Simmons mean he is certainly no stranger to the tactic. Whether he launched his constitutional complaint against the German UPC laws as such a tactic is not known. The impact of his suit on the Unified Patent Court, however, is devastating – whether intentional or not. It has everything a good torpedo should. It was launched just as the Bundestag had agreed to the most important part of the legislative package and the senior German UPC lawyers were confident the path to ratification was clear. Stjerna’s case is also well reasoned and, to top it off, the German constitutional judge tasked with reviewing the complaint, Peter Huber, is renowned for his meticulousness. This is especially when it comes to his favourite subject, the transfer of sovereign power to international, and particularly European, level. The Karlsruhe judge is not likely to make a quick ruling. However, that is exactly what those in charge of the UPC project were hoping for back in July, when President Frank-Walter Steinmeier first put the brakes on UPC ratification in Germany at the request of the Federal Constitutional Court. 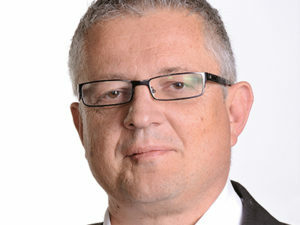 Stjerna had already filed his constitutional complaint against the UPC laws at the end of March. But a ruling four to six months later – as is usually the case – never came. Instead, in October the constitutional judges extended the deadline for participating institutions to provide a response to 31 December 2017. In professional circles it said the German Federal Ministry of Justice and Consumer Protection asked for more time. The Ministry had a considerable hand in the UPC legislation. More certain, however, is that three other institutions have been given the opportunity to provide an opinion: the German Association for the Protection of Intellectual Property (GRUR), the European Patent Litigators Association (EPLIT) and the Federation of German Industries (BDI). This increases the number of opinions the Karlsruhe court expects to receive by the end of the year to 27 (See below: Lots of paperwork). 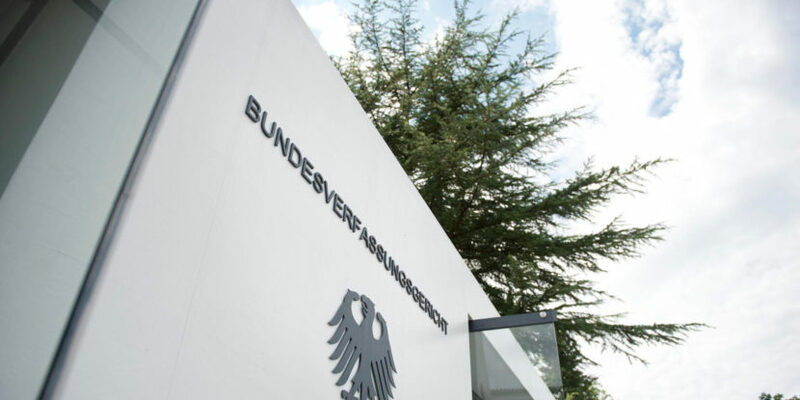 According to JUVE information, all lawyer advocacy groups, the German government and the European Patent Office are all busy compiling opinions. Experts are also sure that the local governments in each of the four German states that are set to host a UPC local division, Bavaria, Baden-Württemberg, Hamburg and North Rhine-Westphalia, will all present their views to the judges. The eight constitutional judges of the 2nd Senate will all receive a huge stack of paperwork on their desks. “A quick ruling is practically impossible now. Once all the opinions have been submitted, the judges will need another six to nine months for to vote on whether to schedule an oral hearing,” says Dr. Ulrich Karpenstein. The constitutional and European lawyer from Redeker Sellner Dahs is familiar with the ins and outs of the Constitutional Court. “If it comes to that, we can’t expect a ruling before 2020,” claims Karpenstein. If there is no oral hearing, however, he believes we could receive a ruling by late 2018 or early 2019. Another problem is that the 2nd Senate of the Constitutional Court is currently up to its elbows in complaints, including a complaint against the ECB’s acquisition of bonds as well as the German legislation to allow a single supervisory mechanism for banks and the European Union. JUVE Patent has also discovered there are five more constitutional cases which are claiming that there is no effective legal protection because the Boards of Appeal at the EPO are not an independent court (2 BvR 2480/10, 2 BvR 421/13, 2 BvR 756/16, 2 BvR 786/16). Rapporteur in this case is, once again, Peter Huber. This means that all problems concerning the European patent system are winding up on his desk. Huber is considered among constitutional experts to be particularly critical when it comes to transferring sovereignty to international institutions and the supposed curtailment of citizens’ basic democratic rights. But this is precisely what Stjerna refers to in his suit. He criticises the fact that the Federal Republic of Germany is ceding more sovereignty in the UPC Agreement than is compatible with the right to democracy (article 38 paragraph 1 sentence 1 of the German Constitution). Furthermore, Stjerna submits a number of other aspects, and thus more work, for Huber’s attention. The constitutional judge must therefore examine Stjerna’s arguments very closely. Not even the most seasoned German constitutional lawyers want to predict how Huber and his seven colleagues will rule. Even the institutions chosen by the courts to submit an opinion are keeping quiet about the potential outcome, says Ulrich Karpenstein. “For such a fundamental issue as the creation of an international court it is completely normal for the court to ask as many stakeholders as possible.” It is simply an indication that the court is taking the constitutional complaint very seriously and is likely to issue a precedent ruling – and what is more, there could be one or two surprises in store. In the end the complaint could be dismissed. That would delight the British advocates especially. Because the longer Germany takes to make a ruling, the smaller the chance that the UK can still take part. For this to be possible at all, the court needs to be up and running before Brexit, because only EU Member States are allowed to take part. It would then be easier to come to a special agreement for an exiting Member State to remain in the UPC system. The UK is currently pulling out all the stops to conclude the UPC laws by the end of the year following the delays caused by the referendum and the snap election. If the court in Karlsruhe decides to schedule an oral hearing for Stjerna’s complaint and does not rule before 2020, the UK will be long gone from the EU. And that would spell the end of London’s UPC dream. The Federal Republic of Germany cedes more sovereignty in the UPC Agreement than is compatible with the right to democracy (article 38 paragraph 1 sentence 1 of the German Constitution). The Bundestag decided the ratification laws with a simple majority. A two-thirds majority ought to have been necessary. The UPC laws are democratically and constitutionally deficient in terms of the legislative powers of the UPC bodies. The independence and democratic legitimacy of the UPC judges is insufficient. The laws infringe the principle of openness towards European law due to alleged incompatibility of the Convention with EU law.